Spray Falls is a lovely waterfall spilling over the edge of the cliff into Lake Superior east of Chapel Beach in Pictured Rocks National Lakeshore. 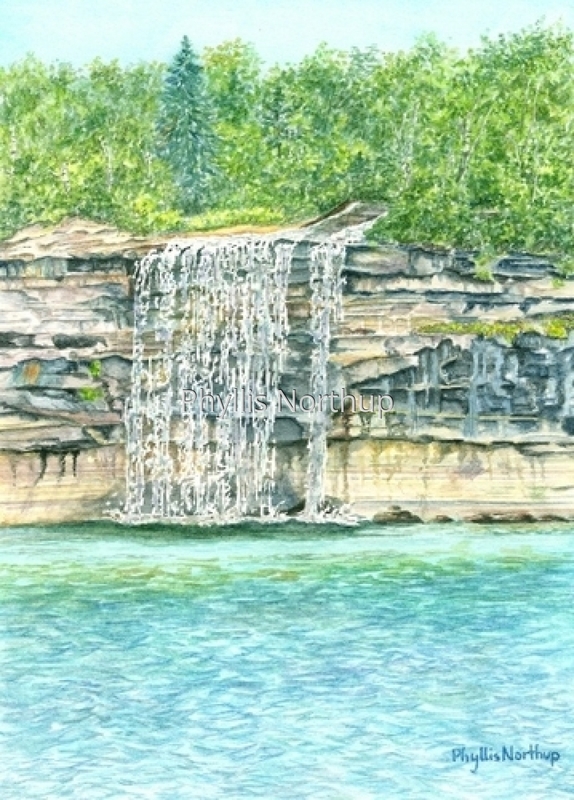 Many get to see this delightful waterfall from the boat tours of the Pictured Rocks. This giclee print from an original watercolor is one of a series of paintings depicting the seasons. Single matted ready for a standard 8x10 frame. Collect the seasons series! Original is sold.